American Express Membership Rewards (MR) points can be a fantastic value when transferred to affiliated hotels and redeemed for free nights. Currently AMEX has three hotel loyalty program transfer partners that represent over 50 brands of hotels across the world. The first step is to make sure you have a loyalty account with the hotel you are transferring points to. 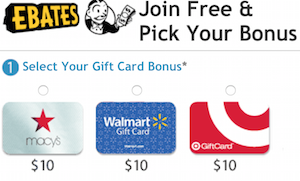 If you don’t have an account, visit the loyalty program’s website and create one. Hotel loyalty program accounts are free and only take a few minutes to create. 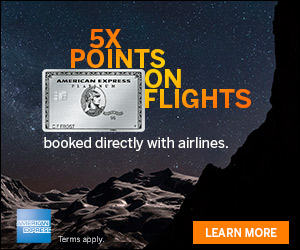 To begin transferring your AMEX MR points, first login into your American Express account. On the Membership Rewards page near the lower right, click ‘Transfer Points’ from the navigation bar. After clicking, scroll down and select ‘View All’ to see the partners you can transfer your AMEX MR points to. Click on the box of the hotel loyalty program you wish to transfer to. AMEX MR points transfer to loyalty programs at various exchange ratios, but both hotel program transfers happen instantly. The transfer ratio for Marriott Rewards and Choice Rewards is 1 to 1, while for Hilton, you receive 2 Hilton Honors points for every 1 AMEX MR point. All transfers must be done in increments of 1,000. If this is the first time you are transferring to a program, you will need to complete some information. First, the name on the AMEX account must match the name of the hotel loyalty program account you are transferring to. Additionally, you will need to have the security number on the front and back of the AMEX card for protection. Lastly, add the hotel loyalty program account number. Verify the details and type in the number of AMEX MR points you want to transfer to the hotel loyalty program; the amount is automatically set to increments of 1,000. When you are done, click ‘Confirm and Transfer Points’. You will receive an email confirmation of the transfer for your records. American Express Membership Rewards are great because of their flexibility. Thanks to an incredibly large network of hotel brands, you should be able to book a hotel room in almost any part of the world. 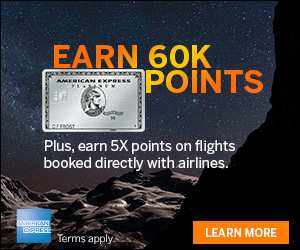 For those looking to transfer to airline partners check out how to Transfer American Express Membership Rewards to Airline Partners. If you’re looking to transfer Chase Ultimate Rewards see, Transferring Chase Ultimate Rewards to Airline Partners and Transferring Chase Ultimate Rewards to Hotel Partners. Let us know what your favorite airline transfer and redemptions are with American Express Membership Rewards. Instead transfer to SQ and enjoy the world’s best carrier in F.
Are you crazy? How stupid are you?